Griff Whalen isn’t your typical NFL prospect who participates in The Spring League. 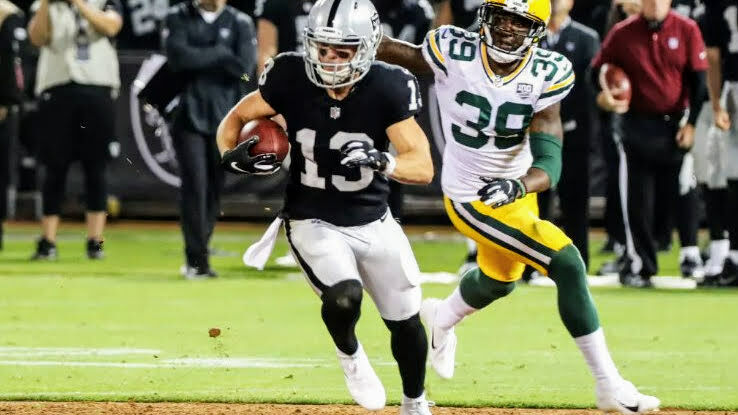 By the time he took part in the 2017 Showcase in Napa, Griff had five NFL seasons under his belt and he was looking to replicate the OTA experience he would have had if he were signed to a team in the middle of the summer. Staying fresh paid off as he signed with Baltimore less than a week after the Showcase game in 2017. Now, he’s in camp with the Oakland Raiders! Previous Congrats to TSL TE David Grinnage on signing with the Jacksonville Jaguars practice squad! Next Congrats to TSL TE Paul Butler on signing with the Oakland Raiders practice squad!